Pack up and get ready for a twist of spins at Spinzwin Casino! 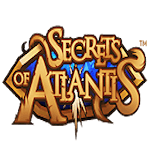 Fund your account with over £20 using the code SW25 and you’ll be delighted with 25 bonus spins on the highly entertaining Secrets of Atlantis slot machine. You have to wager your winnings from spins 50 times to cash out. Your withdrawal limit is set at £20. Dare to spin your way up to the top!